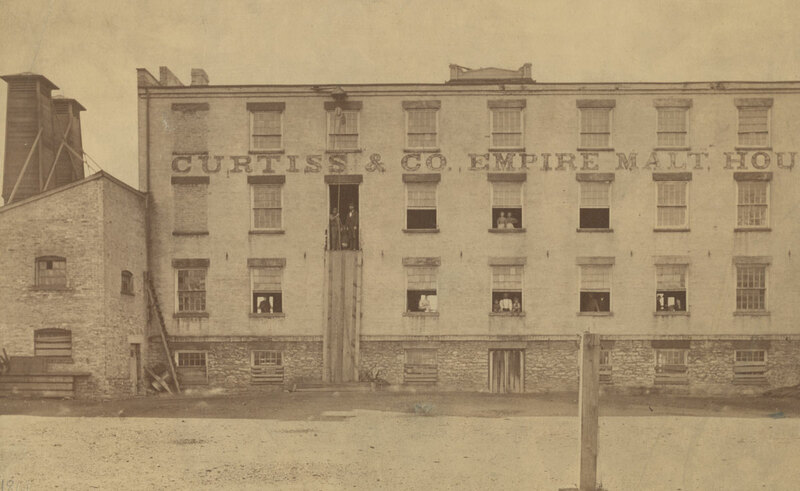 The Empire Malt House, operated by Charles G. and Lyman L. Curtiss, was among the early brewing businesses of Buffalo. In this photograph taken in about 1860, malt house workers pose in the windows of the plant at the foot of Court Street. The malt house required the turning of malt by hand, a laborious process that yielded about 50,000 barrels per year. The company remained in existence at this site, adjacent to the Erie Canal, until 1888.